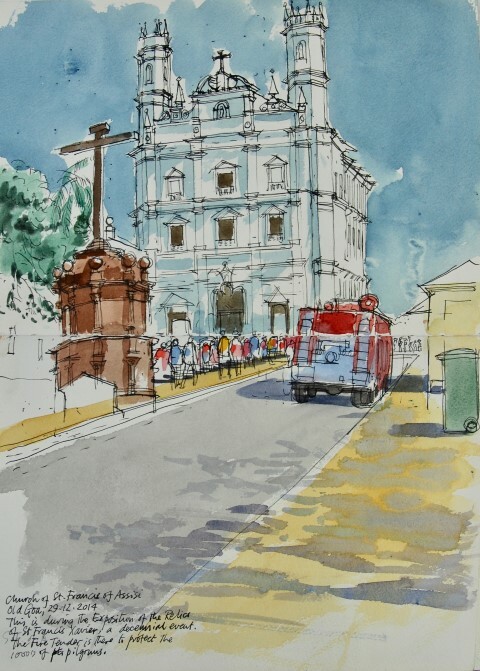 David Jones, member of the group since the 1990’s, gave a talk with a focus on his travel sketch books. I work in two kinds of sketchbook. One might be described as workaday where I do drawings on the spot for my prints or try to work out details for my paintings or Christmas cards. 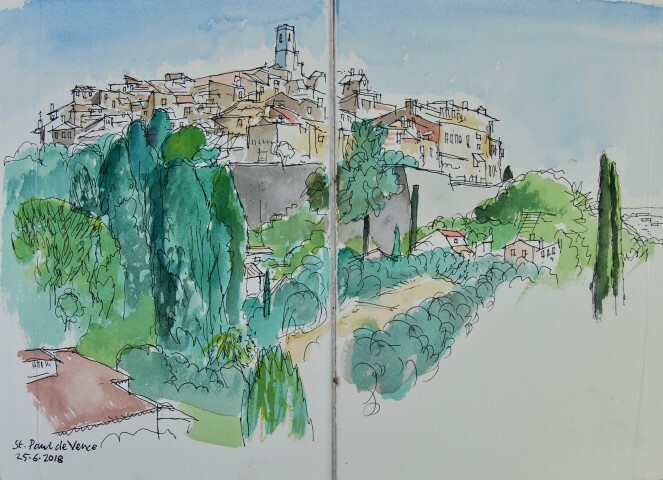 The other sketchbooks are those I draw in when I am on holiday – so they are rather like a travelogue. Like everyone else I see things on holiday which really impress me or fascinate me. What I try to do in the sketchbooks is to convey firstly to myself and then to others who may in the future look through them, what it was that made me respond in this way to something seen. I will show slides of a selection from the 44 existing books, the first of which dates back to 1988. There will be some where I talk about the techniques I employ and following that a number of themes drawn from the books among them ‘People’, ‘Floor to Ceiling’, ‘More Than Once’ and ‘Rain’. Whilst my talk will be a slide show I will bring along a few of the actual books for the audience to look through.